The Sustainable Interdisciplinary Research to Inspire Undergraduate Success (SIRIUS) Project provides STEM undergraduates with practical research experience to better prepare and encourage them in their STEM pursuits. Dr Kelly McDonald and Dr Thomas Landerholm of California State University, Sacramento, have discovered SIRIUS has had tangible benefits to students in cultivating skills and enthusiasm relating to scientific research. There have recently been urgent calls to increase the training of students for the 21st century workforce, and to increase the number and diversity of science, technology, engineering and mathematics (STEM) students. This is accompanied by a demand for science pedagogical reform. Scientific organisations and committees have called for science to be taught the way it is practised by professional scientists. They recommend that more elements of independence are fostered in students, such as autonomy and encouragement to enquire and discover. Students can be acclimatised to this through research-based experiences called Undergraduate Research Experiences (UREs). 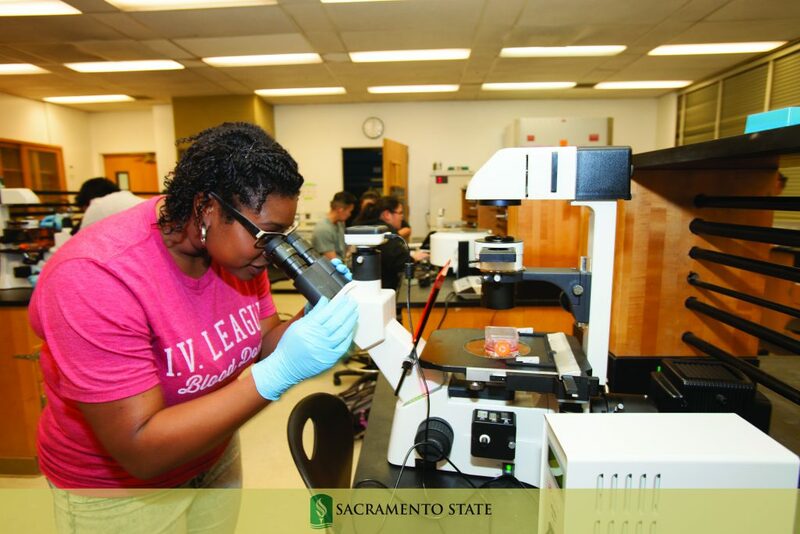 At California State University, Sacramento (CSUS), a 2015 survey indicated that 91% of biology majors wanted to do undergraduate research. Unfortunately, only 3% per year had the opportunity to do this in a one-on-one or small group setting mentored by faculty. As pointed out by the Principle Investigators (PIs) of the project, Dr Kelly McDonald and Dr Thomas Landerholm of CSUS, a scarcity of resources means that there is often inequality in the distribution of the opportunities that are available. Traditionally, UREs have not been facilitated as part of normal class time – many must occur after hours or during summer breaks, a time when some students are compelled to seek employment. This creates a restriction on the diversity of the STEM students benefiting from these high-impact practises. URE opportunities also tend to favour students who excel academically, a group that typically already knows about the benefits of UREs and protocols for obtaining research opportunities. Hence, increasing the number and accessibility of the opportunities available is ultimately important for increasing the diversity of those who graduate and work in the STEM field. The Course-based Undergraduate Research Experience, or CURE, has been used as a means of altering this pattern. A CURE combines the use of science practices and collaboration with the aim of a novel discovery with broad relevance or importance. Through integrating UREs into courses, CUREs extend research opportunities to every student. While not a new practice, CUREs have historically been limited to courses for advanced students. SIRIUS CUREs begin in the introductory level courses, removing this limitation and expanding their scope. 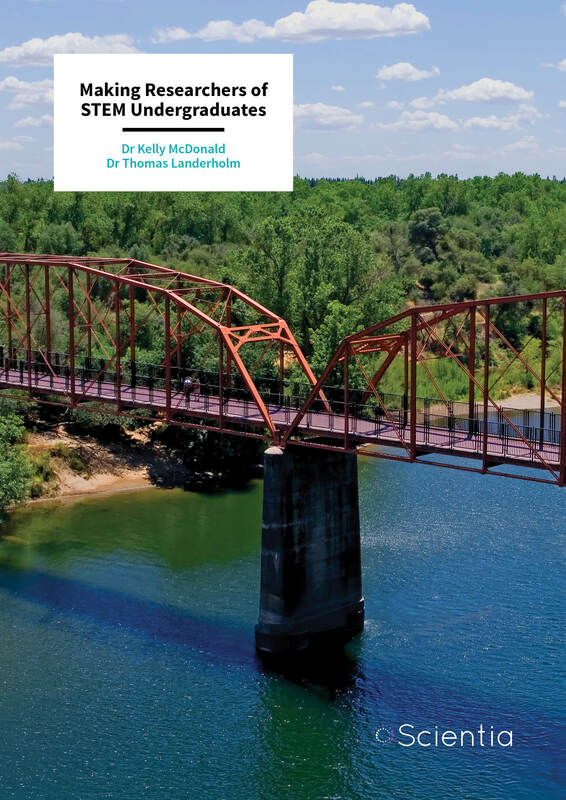 The Sustainable Interdisciplinary Research to Inspire Undergraduate Success (SIRIUS) Project, which launched in June 2015, is a major classroom component of the River City Science Project, an investigation into the human impacts on waterways in Northern California. 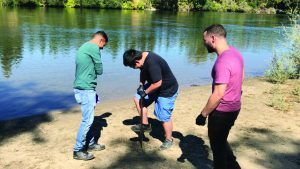 This project provides every undergraduate biology student at CSUS with real research experience related to the American River, which runs through the campus and has been listed as impaired since the 1970s. 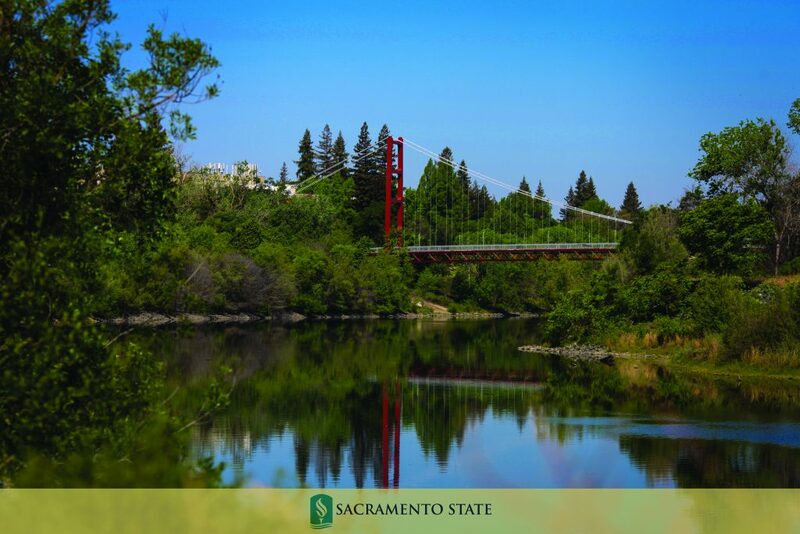 They note the advantage of being stationed in Sacramento, the capital of California, as it offers proximity to government agencies who are also concerned about the river systems, including the US Geological Survey, Environmental Protection Agency and US Fish and Wildlife Service. The long-term goal of SIRIUS is to develop a STEM education community that is focused on this scientific problem, built among students and faculty of varying disciplines. 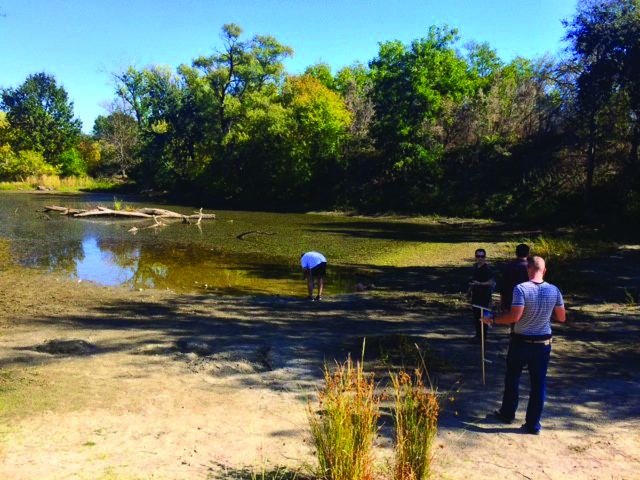 The two main aims of SIRIUS are to create a professional development program for participating faculty, using a Faculty Learning Community model, and to use the CUREs to study human impacts on the river, making the courses tangible and consequential. It has involved students getting the opportunity to solve real world problems and effectively teaching them to become scientists. Dr McDonald comments that, ‘we think one of the most exciting (and important) aspects of this project is the collaborative way that our faculty, staff, administrators and students have approached curriculum reform.’ A significant proportion of the Department of Biological Science’s laboratory curriculum has been redesigned by SIRIUS in order to improve the experience for students, and the departments of Environmental Studies, Geology and Chemistry have each implemented course changes around the SIRIUS theme. The PIs attribute the success of the faculty’s development to the group’s efforts to unify itself through a shared vision and common goal early on, as well as building a community that would continually engage in the projects’ primary practical activities. These included collecting and sharing data that demonstrated a need for curricular reform and encouraging each faculty member to develop research questions according to their interests and expertise. These activities started before the Faculty Learning Community was established and once a need was identified the team talked to faculty about what they wanted to do or achieve in the courses. During the project, continuity is being maintained through summer workshops and academic-year meetings. The PIs, based on their experience and previously reported evidence believe that Faculty Learning Communities who train and support faculty members are particularly effective for science departments as they adopt evidence-based teaching. Regularly scheduled curriculum planning meetings occur during the year, and these have served as the venues for course-based group meetings. These are focused on assessing and evaluating the specific curriculum. At least one meeting of the whole group occurs each semester – using time blocks reserved for faculty and committee meetings – keeping the program cohesive. These meetings are open to the entire department and this has helped to recruit additional members of the faculty. Each summer, faculty gather for a multi-day workshop to peer-review the curriculum and collaboratively revise scientific work plans, student learning outcomes and classroom assessments. The PIs of the SIRIUS project and their colleagues considered it important to allow for flexibility in the design and scheduling of the projects, as some CUREs have required longer development times, while others have required re-evaluation of their research questions and protocols even after they started work. The two PIs of the SIRIUS project have observed first-hand the positive impacts of providing research opportunities to undergraduate biology students at the introductory level. Surveys and focus groups determined that significant gains in laboratory self-efficacy occurred in students who reported the lowest levels of confidence at the beginning of the semester. This is in agreement with other studies that have shown participating in research early in training can increase confidence and create higher levels of retention. They also highlight the importance of engaging women and underrepresented demographic groups in scientific research. Following their observations in SIRIUS, women and students eligible for financial assistance grants enjoyed increased confidence in their laboratory skills. Research conducted on CUREs suggests that their benefits in preparing those participating in STEM may be comparable to that of an extracurricular URE or an internship. Improvements in confidence, scientific identity and attitudes towards science are among the results that the PIs have observed. 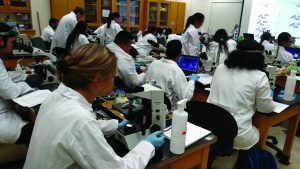 In one semester, the number of students who wanted to pursue a career in science was 5% at the beginning of the first course and 20% at the end of the second course in the series. Helpfully, the team have also identified some misconceptions that students hold regarding the nature of research that is providing insight for how faculty might introduce the practice of research to students. The SIRIUS team also believe that extra-curricular research experiences can lead to higher acceptance rates to postgraduate programs. UREs can lead to more perseverance in STEM subjects giving students the encouragement they need to remain inspired and confident. The higher level of complexity practiced also generates more thorough content comprehension of undergraduate studies and better critical thinking skills. The two PIs explain that SIRIUS teaches effective use of a variety of technologies, and further expect the project to foster a deeper understand of the scientific process, critical thinking and engagement. Positive impacts have also been observed with faculty who have developed their own CUREs. Data suggest that the projects leave faculty members feeling more engaged, excited about teaching and often provide a point of focus for their academic careers. Not only did they enjoy the teaching experience and appreciate the integration of their own research interests into the courses, some of them received more attention from the academic community, which has led to promotion and increased publication and funding. Further, the PIs have made observations about the dynamics of collaborating with others in such a project. They note that involving multiple STEM disciplines means more interdisciplinary engagement, but also requires conversations around the similarities and differences inherent to the disciplines. While most of the research to date has focused on the impacts of the SIRIUS CUREs on introductory level students, similar analyses of upper-division students in CUREs as well as those participating in traditional UREs is underway. Additional assessments, such as those that measure critical thinking and course-specific aptitudes are also being employed to examine students’ abilities to engage with higher levels of study. The PIs recently submitted a grant to the National Science Foundation Improving Undergraduate STEM Education (IUSE) Program – Institutional and Community Transformation – for SIRIUS II. The SIRIUS II project will retain the focus on the American River but will extend the project to other waterways in Northern California and their surrounding ecosystems. It will expand on the work of the first SIRIUS project and will involve 10 STEM disciplines across CSUS, including engineering, computer science, physics, mathematics and statistics, and will work with four nearby community colleges. SIRIUS II will go further to integrate research requiring collaboration across disciplines, exposing students to truly cross-disciplinary projects. The SIRIUS project can be essentially replicated by any university’s science departments. The work of Drs McDonald and Landerholm and their SIRIUS colleagues has shown that undergraduate students can significantly benefit from being given real scientific problems to engage with. Rather than being alienated by a higher level of challenge, once trusted with the tasks, the overall long-term impact on students can make them stronger as learners and contributors to STEM as a whole. 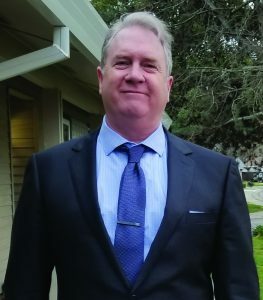 Dr Kelly McDonald is an associate professor and the assistant chair of the Department of Biological Sciences at California State University, Sacramento. She obtained her PhD from the University of Florida in Biochemistry and Molecular Biology. 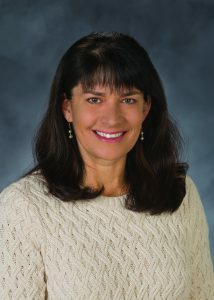 Her academic career began at American River College in Sacramento, California, where she taught biotechnology and microbiology and served as an Education Outreach Coordinator, Assistant Director and Interim Director of the North Valley Biotechnology Center. 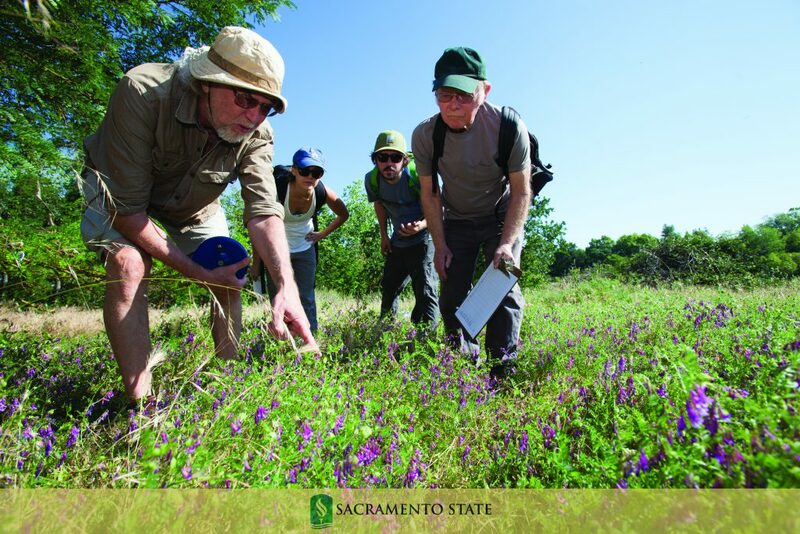 Dr McDonald joined the faculty at Sacramento State as a science education specialist in 2009. She teaches courses related to molecular and cellular biology, coordinates the Graduate Teaching Associate Program and the Pre-teaching Internship Program for the Department of Biological Sciences. She is a leader in faculty professional development and her research focuses on broadening participation and improving learning experiences for students in the Science, Technology, Engineering and Mathematics disciplines. Dr Thomas Landerholm is a professor of Biological Sciences and a Principle Investigator of the SIRIUS Project with Dr Kelly McDonald. He obtained his PhD from Baylor College of Medicine in Biomedical Sciences in 1999. His academic career began at Sacramento State in 2002, and he has been a leader in the Department’s curriculum development, serving as chair of the Task Force charged with revising the undergraduate curriculum, serving as co-chair of the Cell and Molecular Biology Curriculum Subcommittee and serving as principal course designer for multiple undergraduate and graduate courses in cell, molecular and developmental biology. Dr Landerholm also conceived and developed the campus STEM Initiative, to promote student recruitment, retention and success in science, and to develop regional STEM education and workforce programs. Dr Landerholm also founded the Center for STEM Excellence and served as its Director for the first five years. He also conceived and initiated the River City Science Project, whose goals are to establish a science identity around the American River, and research and curriculum collaboration among the many scientific disciplines in the Sacramento Community.